A backpack that’s perfect in its simplicity, but also great for customizing. 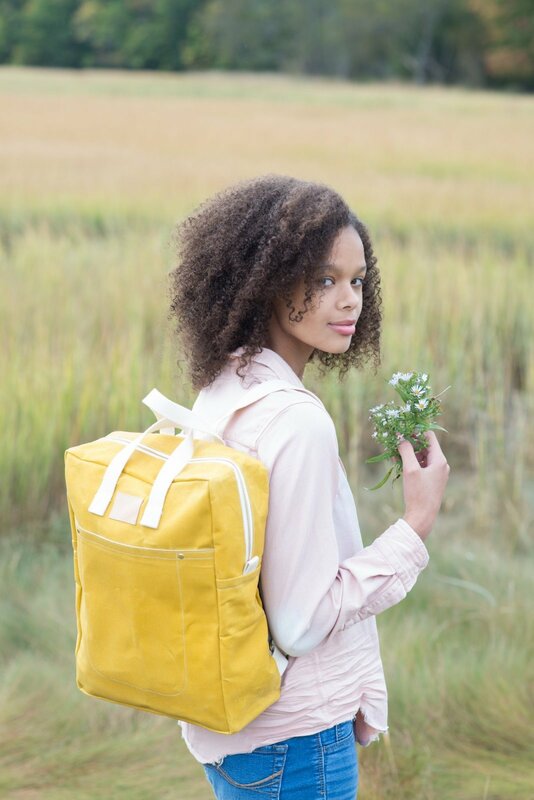 Choose your favorite canvas (prints or solids) or waxed canvas and get to work creating your very own custom backpack. Special features: front slip pocket interior zip pocket adjustable shoulder straps useful top handles. This is an all day intensive class so don't forget to pack a lunch!